It’s Time for Clutter to Come Out of the Closet! There is no time like the present for a good clear out of clutter. With fall comes the holiday season. That means new decorations, new outfits for parties, and lots of frustration getting in and out of closets. The cubby holes located throughout your house are the hardest working and most underappreciated areas in your home. Many times, they are stuffed to the brim with unworn clothes, sports equipment, and seasonal decorations. More importantly, while they hide clutter, they are neglected until the mess cannot be ignored any longer. items with our free moving van when you rent your space. Gather Supplies: Grab trash bags, boxes, or plastic totes to help separate your stuff. Take a marker and tape to label each box. You might have several piles, such as keep, try on, give away, store, and trash. Remove Every Item: Emptying your closet gives you a better idea about how many items you own and have crammed into such a tiny spot. Keep: This pile should not be as big as the others. Only keep in your closet those items that you truly love, will use, and are in season. Try On: Use this pile for those items of clothing that you are undecided about. Give Away: Put articles of clothing, extra craft supplies, tennis rackets, and other things you do not want to keep but may thrill others who will be happy to have them. 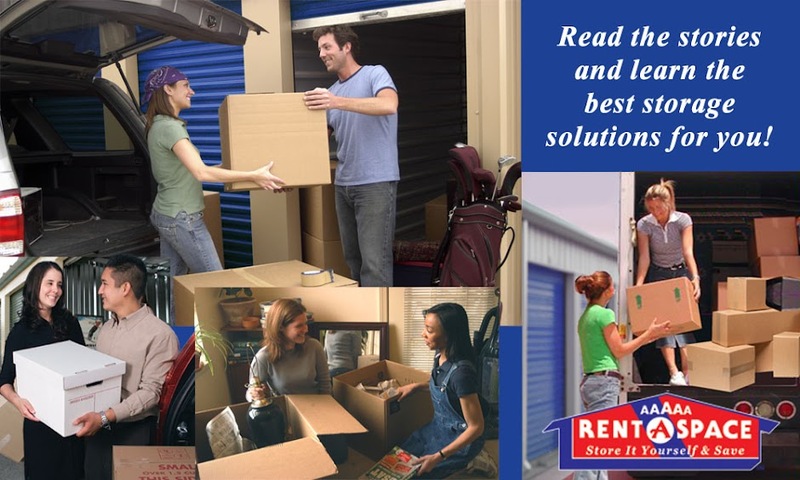 Seasonal/Storage: Move seasonal clothing, decorations, and sports equipment into a convenient storage unit. Trash: Toss out those broken or torn items that you no longer need to keep or give away. Replace Your Stuff: Now is the opportunity to put back your favorite clothing, shoes, bags, and purses. Use a pretty basket for smaller items. Hang clothes neatly on hangers. Put craft supplies in clear bins. in for free upon rental. Reserve your self-storage unit online now. Call 5A Rent-A-Space at 650-338-0016 or toll-free at 1-800-5ASPACE (1-800-527-7223) to learn more. Don’t forget to ask about our free moving van! Not sure how much space you will need? Use our online Space Calculator to estimate the best unit size for you. even transport your stuff in our free moving van. belongings and downsize. Here are some tips to get you started. Make a Plan: Write out what room will be tackled first. Decide if your goal is a whole house makeover, or just those areas guests will be in. An excellent place to start is in the kitchen since a lot of the hubbub will be centered around food. Kitchen: Lots of food will be entering your home. Now is a fantastic time to go through the refrigerator, pantry, and cabinets. Get rid of excess cooking gadgets. Throw out expired food. Clothing: Now is the perfect time to look through clothing and remove those pieces you do not wear. Donate or give them away. Toys: The kids will be quickly restocking their arsenal of gadgets, so encourage them to decide what toys they play with now and which ones can go. Decorations: As you pull down everyday decorations for holiday ones, consider if you need or want to put it back up once the season is over. Hallway Closet: Clear out the hall closet, so you have a place for guest’s coats. Guest Room: Time to turn the guest room back into a place for guests. Pull out all the items that do not belong. make your home ready for spring! your glass to a less stressful, and roomier, holiday season! Ever wonder which animals store things just like we do? Check out our brand new infographic about some of our favorite collecting critters!